Police searching for a missing flautist have said her disappearance is "totally out of character". 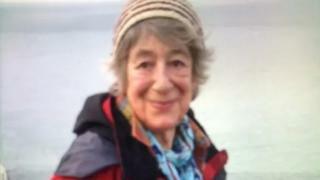 Maja O'Brien, 78, is thought to have left her home in Oxford between about 05:00 and 09:00 GMT on Thursday. Det Insp Jonathan Capps said: "It is possible that Maja was on her way to meet an acquaintance who cleans musical instruments." Police said Ms O'Brien was last seen by friends on Wednesday evening, and her bicycle was also missing. The force has issued a number of appeals since her disappearance, describing her as "normally very punctual and reliable". Det Insp Capps said: "Maja is a keen flute player and we think she has taken her flute with her." He said the identity of the person she was going to meet was unknown, but is believed to be a man originally from Croatia or Eastern Europe. Det Insp Capps urged the man, Ms O'Brien's friends or anyone who had seen her bicycle to contact them. Officers have been searching Hinksey Park, Oxford city centre and the Four Pillars swimming pool, which are areas she is known to frequent. Ms O'Brien is described as being about 5ft 1ins tall, of average build, with short grey hair and brown eyes.